The use of flora and fauna elements is one of the most popular styles in making designs, whether it is on prints or digital media. Floral graphics specifically are oftentimes used in creating deigns for invitations, bookmarks, posters, and even as banners and headers for websites. That is why having a nice set of graphics to back you up in making designs with this kind of theme is such a big help. Worry no more because today in UCreative, we bring you a stunning collection of Floral Elements and Graphics in vector format which is free to download and use. 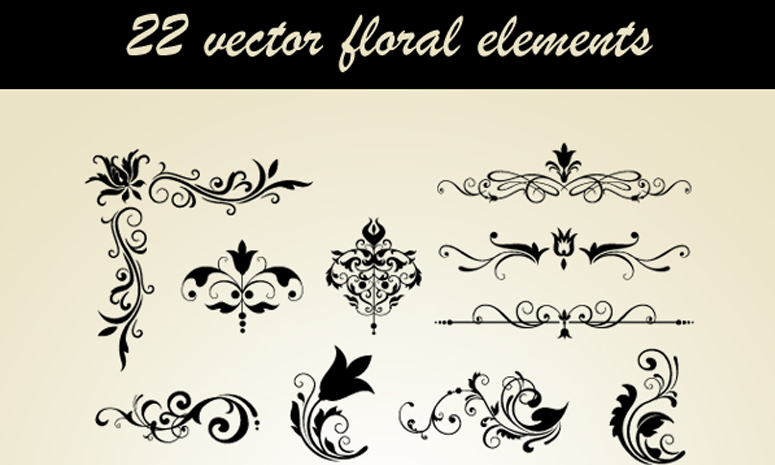 This set is composed of 22 unique floral vectors each is meticulously designed by two of our equally talented designer friends Romel Belga and Niño Batitis. Download this stunning collection. Just click the button below. Share us what you think about this freebie by commenting below. Stay awesome everyone!